We are learning more about the mysterious Dr. Simon Neville, played by Michael E. Knight. We know that he is from Ohio and that his mother was in a coma for five years. The rogue doctor is completely obsessed with finding unorthodox methods for treating coma patients. Knight is a very good actor, but will fans embrace the eccentric character he plays? It will certainly take time for viewers to really warm up to him. The writers are going to have to turn him in to a more sympathetic character. They will need to make him more likable, either by having him do something heroic or providing him with a love interest. Does anyone miss Summer and Kyle? There doesn't seem to be a storyline for either of them. Lachlan Buccanan, Kyle has been taken off contract and he has been demoted to a recurring role. As for Supergirl Summer, her character has really been out of the spotlight. What's with Christine (alias Cricket)? That woman really has a problem. At the very least, she needs to attend anger management classes. For years, she was consumed with punishing Phyllis. Now it's Adam. Perhaps all the power she wields as district attorney has gone to her head. In my opinion, she and Neil Winters are the most annoying characters on the show right now. The Cricketmeister seems to have some deep, psychological problems. She definitely needs a therapist. Maybe she'll book an appointment with Dr. Anderson! It's official, fans. No one died in the horrific fire that destroyed Newman Towers. Clueless police chief Paul Williams was informed that the bodies of Patty and Ian were not found in the wreckage of the building. That means the two are on the loose. What a duo! Surprise! Surprise! Dr, Anderson has baby Christian and she has presented the child to Sharon. Yet there are still so many questions surrounding the evil therapist. It's obvious that Nick Newman is the target of her venom. What we don't know for certain is the creepy doctor's game plan and her real identity. There has been online speculation that she is really Sandra, who was paralyzed after a diving accident involving a teenage Nicholas Newman many years ago. Victor apparently helped to cover up the incident and paid for Sandra's expenses. However, Dr. Anderson does is not paralyzed and Nick didn't recognize her as Sandra when he saw her. It is possible that she is a member of Sandra's family, perhaps her sister, who is seeking revenge on Nick. In the last edition of Y&R Report (Saturday, November 7, 2015), I posted two letters from a woman named Elba. Elba swears that she and her friends remember the incident happening at the pool at the Newman ranch, but no flashbacks have been shown. There has also been speculation online that the incident took place when Nick was at boarding school in Switzerland. Elba, I want you to know that I am trying to clarify things and that I have tweeted Y&R's head writer, Charles Pratt, for an answer. 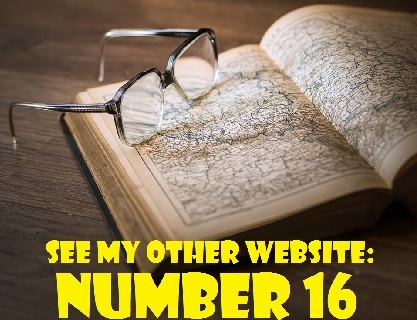 If I receive a reply, I will definitely post it on this website. I don't like the new storyline with Nikki and Judge Elise Moxley and her husband, Senator Moxley. I am not impressed by the judge and the senator does not have the face of an actor that makes you remember the character he is playing. Melody Thomas Scott's new hairstyle really looks good now that it has grown in a bit. I hope she keeps it shoulder length rather than letting it grow really long again. I am finding the whole storyline relating to baby Christian disturbing. It's going to affect many people. Big turmoil ahead! Well, CC, I would like more time before giving you my verdict (pun intended) on the judge. I will know better after I watch her on screen for a while. As for her husband, the senator, he does seem rather bland and nondescript. I agree with you about Nikki's hairstyle. Yes, I can understand how some people would find the baby Christian story disturbing, especially women who have had a miscarriage or experienced the death of their own infant child. Yes Carly, it's surprising that nobody perished in the fire since Charles Prat reportedly stated that there would be four casualties. I think Dr. Stitch would have died if Sean Carrigan, the actor, who plays him, had left the show (See below). As for Dr. Neville, I think he is interesting and that he has great potential. Since Michael E. Knight is a good actor, it all depends on what the writers do to his character. Yes, it seems as if Adam is Christian's dad. If that is indeed the case, then I think Sage and Nick's relationship is doomed. I think Nick will eventually go back to Sharon anyway. He's going to help rescue her from her current predicament with Dr. Anderson and that will draw them closer. Dylan will never get over the fact that Sharon deceived him about losing the baby. Once he's out of the picture, Sharon will turn to Nick, as she always does when she's desperate. You are right, Carly, in complaining that they have done the baby-snatching routine before (with Lauren and Sheila and with Ashley and Sharon). They are trying to put a new wrinkle on it. It remains to be seen whether they have succeeded in reworking an old storyline. Although Stitch 'em Up is engaged to spoiled heiress Abby Newman, we all know that he really loves Abby's mother, Ashley. Ashley is trying very hard to be supportive of Abby, but how long can she play the martyr? More importantly, how long can she and Stitch hide their true feelings from Abby and others. Once again, Abby is headed for Heartbreak Hotel. She and her nephew Noah will both be checking in. 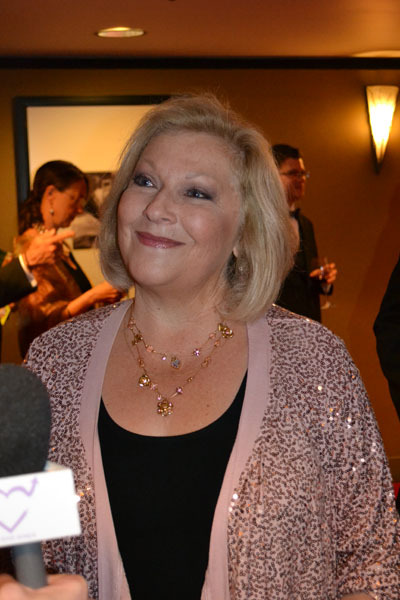 Kind-hearted Traci Abbott, played by Beth Maitland, will be back in Genoa City for the holiday season. The actress will be reprising the role she created back in 1982. According to Soap Digest, Beth will arrive on December 24th for multiple episodes of a Yuletide storyline. I'm looking forward to seeing all the Abbotts gather for Christmas and New Year's (Too bad John Abbott isn't around..to preside over the festivities. Perhaps his ghost will make another appearance). I presume Traci will be coming to town for the wedding of her niece Abby to Dr. Stitch. 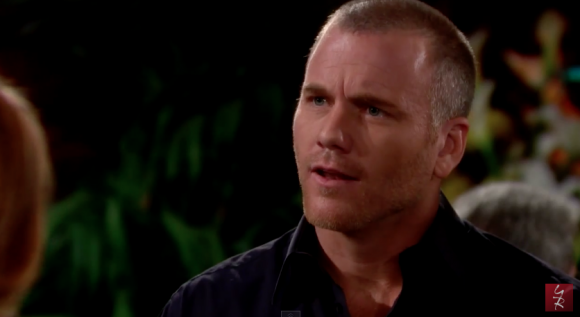 However, given the attraction between Ashley and Stitch, we can probably expect another Y&R wedding disruption. Traci will certainly notice the feelings her big sister has for the doctor. On Sunday, December 6th, Kate Linder's (Esther Valentine) benefit for the March of Dimes will take place in our city. 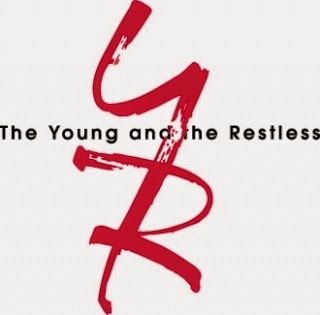 Other Y&R stars in attendance will be Christian LeBlanc (Michael Baldwin), Camryn Grimes (Maiah Copeland), Melissa Ordway (Abby Newman) and Robert Adamson (Noah Newman). It's for a good cause and you can have high tea at the Royal York Hotel and meet some of your favourite Y&R actors. I will be there. Who is currently the best couple on Y&R? That's all for now. Don't forget that the show will be disrupted due to American Thanksgiving. (At least, we'll get to see the Newmans and the Abbotts eating their turkey dinners). The next edition of Y&R Report will appear in this space on Saturday, December 5, 2015. As we enter into the holiday season, there should be plenty of interesting happenings in Genoa City, especially surrounding the nuptials of Dr. Stitch and Abby.